In today’s time, developing just one website is not enough. To have multiple advertising for your websites, sharing content on social networking is of a great help. Have you ever noticed in your FB, those marketing links appearing constantly? These are the website Feeds linked to their FB pages. Why to individually paste your blog's links on Facebook wall/ Timeline? Instead, RSS Graffiti will do it for you. Learn to use RSS Graffiti for showing your blog/website Feeds on your Facebook page. Reaching your readers with timely, personalized, and targeted messages is a key to your email marketing success. Aweber does it smartly. See Aweber Email Marketing tools. RSS Graffiti will ask the Permission for accessing basic info, select okay. Enter Feed URL in Add a New Source form, In Add a New Target you can simply customize how you want to post in Facebook wall/ Timeline or Specific Page. Source URL Override: Override the website's original URL. Keep it blank. You can also alter few more options such as Format Message, Filtering Options etc. Save Page and your Feed will now appear on your FB wall/Timeline or Business page. 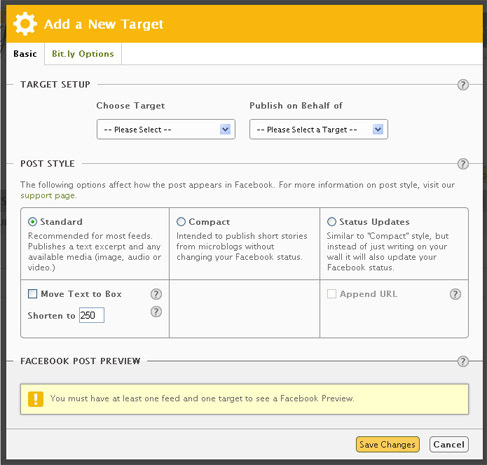 You can customize the way you wish your posts appear on your FB timeline or page. 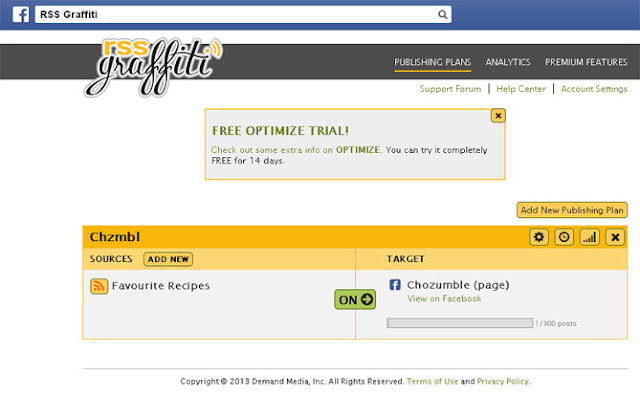 You can also choose how much of your website's content to be seeded on FB.